The second Wednesday of January brings with it a terrific assortment of new and exciting comics, starting with what could be the most exciting character of the year… Captain Marvel! 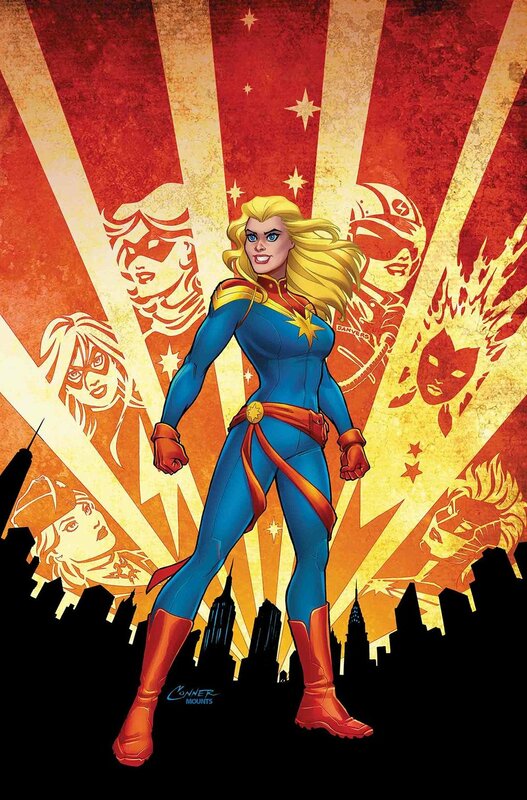 All the stars align as Kelly Thompson and Carmen Carnero take on Marvel's premier female superhero with Captain Marvel #1! We’re also stoked for Friendly Neighborhood Spider-Man #1! Superstar writer Tom Taylor (All-New Wolverine, Injustice) and artist Juann Cabal (All-New Wolverine, X-23) give us what Marvel is calling the most local Spider-Man ever! Over at DC, the Wonder Comics imprint debuts with Young Justice #1! Superboy… Wonder Girl… Robin… Impulse… Amethyst. They're all united in the debut issue of a brand-new series that also introduces new heroes Teen Lantern and Jinny Hex! Finally, I’d never forgive myself if I didn’t call out Criminal #1. Hot off their bestselling series Kill Or Be Killed and their original graphic novel My Heroes Have Always Been Junkies, crime comic masters Ed Brubaker and Sean Phillips finally return to their most-demanded title-as a new monthly series! Click here to see a tentative list of new comics shipping next Wednesday, January 16!